Moscow: Russian Prime Minister Vladimir Putin responded to an election setback and protests by promising on Tuesday to reshuffle the government next year but his spokesman warned the opposition that any unsanctioned rallies would be stopped. Meanwhile, President Dmitry Medvedev ordered the Central Election Commission to investigate every uncovered case of violations during last weekend’s polls, RIA Novosti reported. 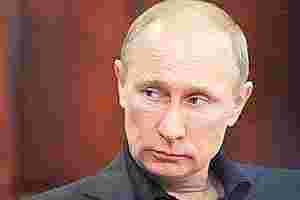 “There will be a significant renewal of personnel in the government," Putin told party members. “Those who hold sanctioned demonstrations should not have their rights limited in any way—and that is what we are observing now," Peskov said. Witnesses said up to 5,000 people joined Monday’s protest against alleged electoral fraud. They planned a new rally later on Tuesday, despite a heavy police presence. About 300 people were detained in Monday’s demonstration and police issued a statement on Tuesday saying they would not permit any “provocations". A Moscow court sentenced Ilya Yashin, one of the organizers on Monday’s rally, to 15 days in detention but he told reporters: “Of course we will continue protesting."